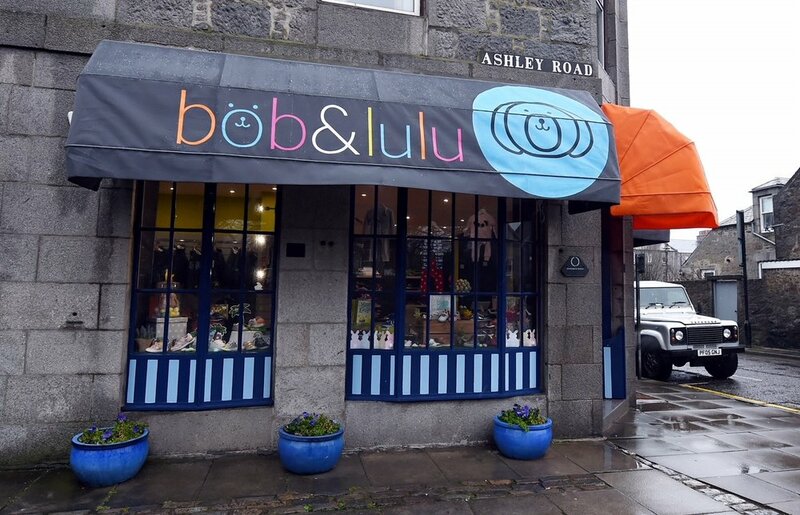 Bob & Lulu is a stylish children's shoe and clothing boutique based in Aberdeen. They are dedicated to providing personable customer service and have fully trained staff in children's shoe fitting. Bob & Lulu needed a new identity after changing the boutique's name. Buttercrumble was eager to help them with this new phase of their business. We enabled them to reach their goal of creating a fresh identity which appealed to their young customers. We drew inspiration from Bob & Lulu's new interior decor and Bob the dog. The logo reflects the stylish, fun and friendly values of Bob & Lulu. The aesthetic has a contemporary and accessible feel to appeal to children and their parents. The character element depicts the iconic, Bob the dog, who greets guests to the shop. It's a fun-loving identity with enough energy to match their young fans. The colour palette reflects the fun and quirky fabrics and patterns in-store. Pops of the accent colours are combined with the primary colours to introduce energy and warmth to the brand identity. White is used generously to ensure the brand remains contemporary and stylish. The modern typography compliments the bold colour choices. Headers in Bob & Lulu's communication are displayed in lower case to continue the friendly theme throughout the identity. A serif font was selected for the body type to ensure maximum legibility amongst their young customers. 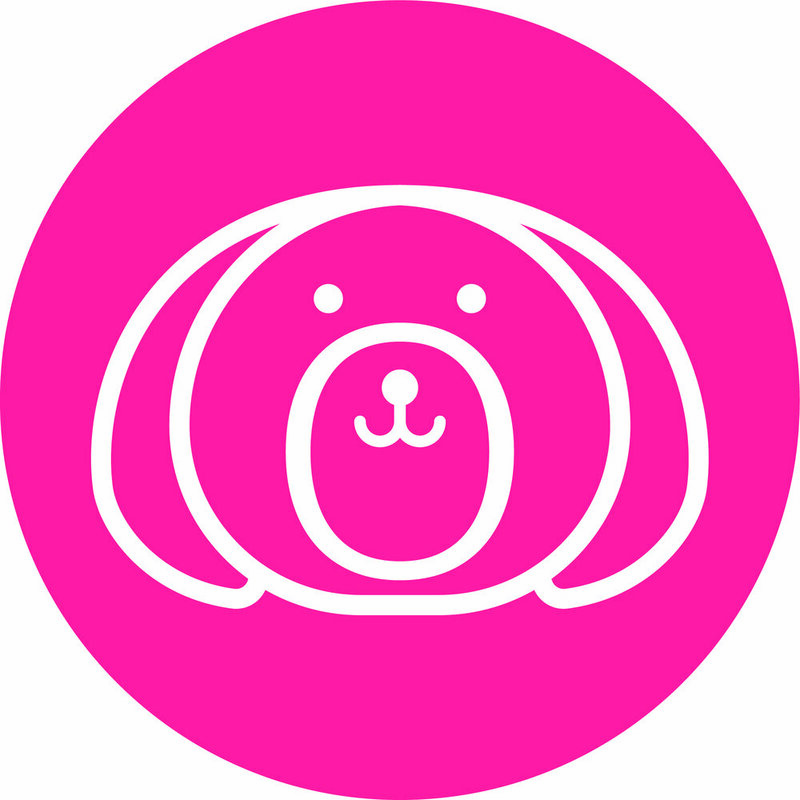 The brand mark (featuring Bob the dog) is the badge the boutique wears proudly. The brand mark can work flexibly across different media including stickers and tags. 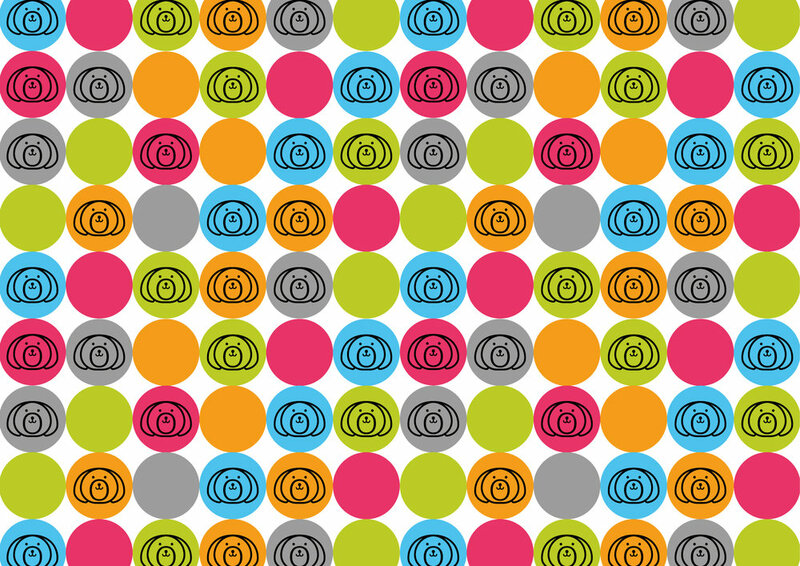 We even transformed the design into a repeatable pattern to make a bold impact across the store.